Will Brain Palpation Soon Be Possible? | Technology Networks Will Brain Palpation Soon Be Possible? Will Brain Palpation Soon Be Possible? If there is one technique used by the physician to explore the human body during every medical examination in order to make a diagnosis or prescribe further tests, it is palpation. By its nature, however, the brain cannot be palpated without using a highly invasive procedure (craniotomy, or opening the skull), which is limited to rare cases. 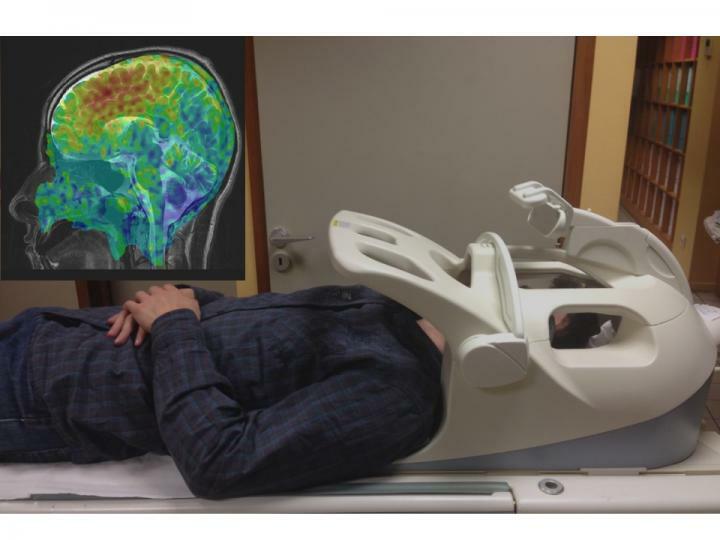 By drawing on seismology, Inserm researchers led by Stéfan Catheline (Inserm Unit 1032, "Therapeutic Applications of Ultrasound") have just developed a non-invasive brain imaging method using MRI that provides the same information as physical palpation. Ultimately, it could be used in the early diagnosis of brain tumours or Alzheimer's disease. Many diseases involve structural changes in tissues, which are reflected in a change in their mechanical properties, such as elasticity. Using the sensitivity of their hands, and their detailed knowledge of the body, physicians, through an examination known as palpation, can assess the size and stiffness of a tumour, the presence of inflamed lymph nodes, or the size and position of the foetus in a pregnant woman, to mention a few examples. This palpation has been supplemented or replaced by modern techniques that give the physician an indication of the elasticity of a biological tissue. They are based on the generation and detection of waves that propagate through the body at varying speeds depending on the stiffness of the organs (the stiffer the tissue, the slower the wave propagation, and vice versa). However, this method cannot be applied to the brain, which, doubly protected by the cranium and cerebrospinal fluid, is difficult for externally applied waves to access. It is therefore impossible to directly or indirectly palpate the brain, something that greatly complicates the work of neurosurgeons. On the other hand, the brain is the seat of natural vibrations created by the blood pulsating in the arteries and the circulating cerebrospinal fluid. There remained a significant unprecedented challenge: how to capture this complex field of natural shear waves, and represent it on a computer screen. In this article, Inserm researchers, using MRI, have succeeded in detecting natural shear waves in the brain using computational techniques borrowed from seismologists and known as "noise correlation".They were thus able to build images of the brain's elasticity. "If this method can be developed for clinical use, it will be a boon for both the patient and the physician, since making the brain vibrate is quite painful at the moment. Of course, this method will be complementary to those that already exist, and the future is in a multimodal medical diagnosis," says Stéfan Catheline, Inserm Research Director and main author of this work. "Alzheimer's disease, epilepsy, multiple sclerosis and hydrocephalus involve changes in the stiffness of the brain tissues. This new technique allows their detection, and could be used to avoid brain biopsies. " This method for palpating the brain could have other areas of application, such as for analysing the development of neurodegenerative processes, the impact of a lesion from a trauma or tumour, response to treatment, etc.